Financial contracts to care for sick or aging relatives — nearly unthinkable just a decade ago — are drawing new interest as everyday Americans wrestle with the time and expense of providing long-term healthcare for their relatives. More Americans are considering the agreements as a result of tougher standards imposed three years ago for Medicaid, a government program that covers nursing home care and other long-term healthcare costs after older Americans have exhausted their own assets. Under the change, officials now look back five years rather than three to see whether Medicaid applicants gave away homes or other assets that could have paid for their care. If so, the government assesses a stiff penalty that denies Medicaid coverage for the amount of time the gifts would have covered healthcare costs. For example, if a patient in a nursing home costing $5,000 per month gave her daughter a residence worth $200,000, the penalty period would be 40 months. The contracts are a byproduct of changing family dynamics that have made caring for aging relatives more challenging than it was a generation ago. Fewer children, often spread around the country, are left to care for parents, who are now living longer. 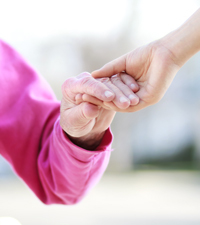 In addition, more two-worker households mean family caregivers may have to sacrifice pay, health insurance and retirement benefits – losses that can be at least partially recouped through a family caregiver agreement. 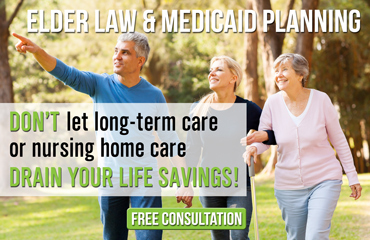 For the elder law attorneys at The Elder Law Firm PC, this provides us with another strategy to help retirees protect their assets from the rising costs of skilled nursing facilities and professional long-term care. This blog contains excerpts from an article on Richard L. Kaplan, professor of law at the University of Illinois at Urbana-Champaign and a member of the National Academy of Social Insurance. Kaplan, Richard L.,“Contracts Adding Legal Twist To Family Health Care,” University of Illinois at Urbana-Champaign, Science Blog, May 2009.